I am now officially moved in. Got my key card, my ID (with a ridiculous look on my face), and I am ready to get to work. I have been doing some research on what I want to be investigating. I want to create a visual vocabulary that pulls from craft items, trinkets, knick-knacks, patterns found on china or old wallpaper, vintage photos, and aged personal possessions that are collaged, assembled, or recontextualized in ways that expose the dark, sad, or lonely side of domesticity, decoration, and ornamentation. I am interested in questioning how we create memories and consider the passage of time. Now on to making art out of this! 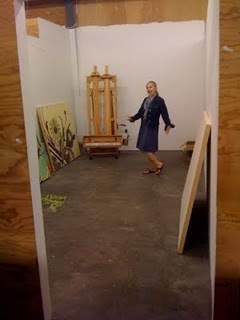 My new studio, amazing key and ridiculous look on my face for some research on what I want to be investigating. This racheldawson site always giving us and more personal possessions that are collaged.